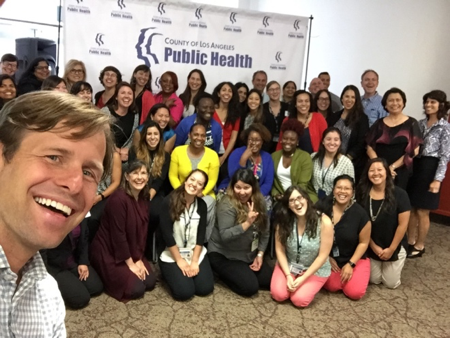 I recently completed a year-long training process supporting the Los Angeles County Department of Public Health Collaborative Leadership program. With DPH taking a lead in designing the overall training framework that consisted of two cohorts with 76 participants, my role was to develop and administer an assessment, design and lead four trainings and provide customized technical assistance to 18 DPH teams. Collaborative Effectiveness Assessment Instrument: This instrument, developed by Professor Dale Ainsworth from Sacramento State University helped each of the 18 teams assess their collaboratives. This tool helped each team understand critical design elements for making collaboration work: mission/vision, membership, governance, information systems and measurement systems. In addition to helping cohort members understand specific design elements, the tool also highlights the interrelationship between the various elements. Throughout the year-long training, I checked in with Professor Ainsworth to administer the survey, tabulate the results and explore ideas for training curriculum. The tool also helped team assess the level of trust within their collaboration and negotiated order, key intermediate ingredients for success. Lastly, the tool helped each team measure four outcomes related to collaboration. Team members were invited to fill out an online survey for their team and group results were created for each team, along with both cohorts as a whole. From 48 responses, several trends emerged. 1st Training, Mission/Vision, Membership and Governance (November 17 & 30, 2016): This training provided the grounding in three core elements, provided a space for groups to share best practices with each other and generate action steps for moving forward. 2nd Training, Information Systems and Measurement Systems (Jan. 10 & 26, 2017): This session incorporated two case studies in greater detail and also provided time for the cohort to “troubleshoot” for one team, which led to a very engaging conversation. This session also consisted of a rotating break out session and introduced the readiness assessment tool and the evaluating Collective Impact framework. The second session also contained a walking meeting, which added some physical activity into the day. A point was made throughout the training that the various facilitation methods and activities used for the training, like a walking meeting, are all elements that the various teams could introduce in the collaborations they serve. 3rd Training, Trust and Negotiated Order (April 11 and 26, 2017): This training also incorporated multiple case studies and introduced the trust-building loop tool. I also asked a series of questions that helped surface some underlying norms at DPH and how these relate to the collaborations they serve. 4th Training, Backbone Leadership (June 15, 2017): This training explored in greater detail the backbone leadership role in collaborations. I shared best practices from the Collective Impact literature and also reviewed a top 10 list for collaboration managers. We also celebrated participants in this program with a graduation ceremony. Customized Technical Assistance: These sessions provided an opportunity for me to dive deeper into each group’s work. My initial meeting with teams gave me an opportunity to better understand their work. First, I asked them in their own words to describe the problem their working on, their goal, membership, governance, etc. (similar to questions raised in the Collaborative Assessment Effectiveness Instrument). This provided a more qualitative assessment of their collaboratives because I could hear in their own words how they described it. After that, I went through the detailed results for their team generated from the CAEI that individual members filled out. More often than not, the quantities CAEI results mirrored what I heard from the team from the questions I asked. After discussing it with the team, I then asked them to take a few minutes and prioritized the top three or four elements they wanted to prioritize for the remaining technical assistance sessions. All of the teams prioritized three or four areas. Over the course of the year, I provided more than 10 hours of technical assistance to 18 DPH teams, with several going over that amount. The majority of these sessions were face-to-face, and in these sessions, I provided the support each team requested. The face-to-face sessions helped me establish relationships with the team members and contribute to a more engaged conversation. By the end of the program, I felt like I really knew each of the teams and their work. Team Workplans: Based on the CAEI each team completed and their feedback on how they would like to receive technical assistance, I developed a one-page workplan for each team that I reviewed with each team at my second team meeting with them (sample below). 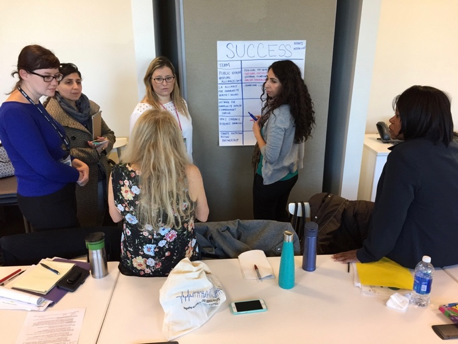 This gave each team the opportunity to influence what and how they wanted to learn moving forward with the technical assistance, which created more ownership and engagement in the conversations. Each team lead signed the workplan and I referred to it in my subsequent sessions with teams. 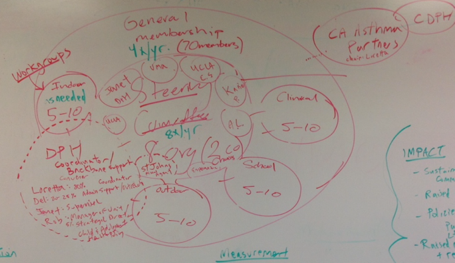 Network Mapping: In my first round of meetings with teams, on my second day of customized technical assistance sessions, it occurred to me to ask the team to actually draw out their collaborative membership instead of just describe it to me, which is what I did on the first day. This mapping exercise wound up being very insightful and I continued it for all of the teams that I met with. It helped teams understand who was a part of their collaboration and who might be a part it. With the membership drawn, it was then easier to discuss governance, communications and evaluation for each of the teams, since membership is closely tied to those design elements. Affordable Housing Policy Health Impact Assessment: Engage both community and public agency stakeholders in an advisory capacity to Inform the design, Implementation and dissemination of an assessment of the health impacts assessments. Asthma Coalition of Los Angeles County: Prevent, minimize and manage the burden of asthma. 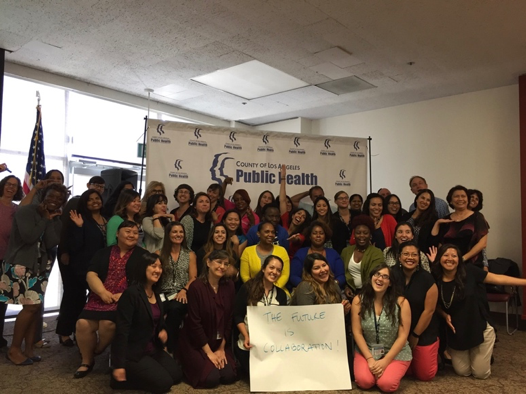 Coalition for a Tobacco Free LA County: Empower and mobilize communities to reduce tobacco-related death and disease throughout the County. Community Prevention and Population Health Task Force: Move the County to an ever more effective, integrated approach to achieving health equity that involves all departments, jurisdictions and partners. Healthcare Antimicrobial Resistance Engagement Network: Reduce the spread of antimicrobial resistance within networks of facilities that share patients with one another. LA Alliance for Community Health and Aging (LAACHA): Promotes healthy aging in the Los Angeles region. LA County Food Redistribution Initiative: Educating the public about safe methods to prevent food waste, donate and recycle excess food, as well as support policies that divert food from landfills. LA County Nutrition Action Partnership: Improve coordination and efficiency across the continuum of food assistance programs, services and support, with the aim of increasing accessibility of healthy and affordable foods and participation of food assistance programs. LAC Clostridium difficile Infection (CDI) Collaborative: Prevent transmission of CDI. SPA 1 Homeless Services: End homelessness and increase access to services. SPA 2 Chronic Disease Collaborative: Implement CHIP goals around reducing obesity/social determinants of health. SPA 3 & 4 Network for Community Health Improvement: Create a regional movement that engages communities and organizations committed to impactful cross-sector collaboration by addressing our most complex community concerns. SPA 5 & 6 In Pursuit of Higher Education: Overcoming barriers to education to improve health outcomes. 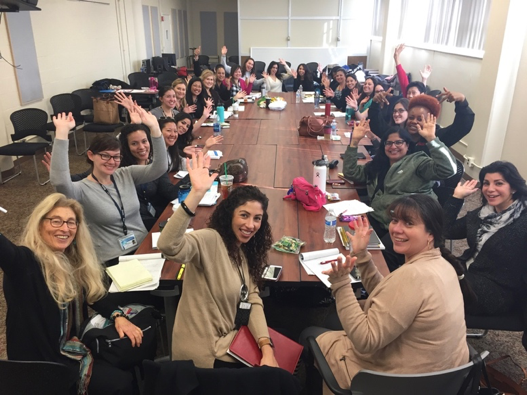 SPA 7 Collaboration: Empowering youth, connecting families for academic success. SPA 8 Carson Homeless Project: Provide shelter and resources to their homeless population. TB Control Program: To prevent the transmission of TB within Los Angeles County. Westmont West Athens Workgroup: Reduce/prevent violence in Westmont/West Athens. I found the work to be engaging, informative and rewarding! I also learned a great deal about the Los Angeles County Department of Public Health, and all the good, collaborative work they’re doing. I’m also pleased to continue working with DPH on a follow up project that builds upon this one, sharing best practices around Collective Impact with four different teams. This entry was posted in Collaboration, My Clients and tagged Coaching, Collaboration, Community, Facilitation, Leadership, Leadership Development, Organization Development, Training. Bookmark the permalink.